That was heartbreaking. The Jays squandered a strong start from Sanchez, thanks to a poor performance from the bullpen. That was heartbreaking. The Jays squandered a strong start from Sanchez, thanks to a poor performance from the bullpen. It looked like they were set to win in dramatic fashion, but Brett Gardner was there to ruin things, as he usually does. Tonight’s game was going wonderfully for Sanchez. He was getting weak contact, while racking up a relatively high amount of strikeouts. Unfortunately, it kind of got away from him. His final line reads 7.0 IP, 3 ER, 5 H, 4 K. Sanchez completely dominated the Yankees for much of the night, which put his pitch count in a great position late in the game. He was able to get tons of groundouts, and as mentioned, also relied on strikeouts. That was made possible thanks to an absolutely devastating slider. This looked like one of his most dominant performances of the year. Then the 7th inning rolled around. Sanchez looked to be in total control, as he retired the first two batters in easy fashion. But then he allowed a single to Aaron Judge. A few pitches later, Tyler Austin hit a two-run homer to give the Yankees the lead. It was a rapid change of fortunes. The one inning shouldn’t diminish all of the good that Sanchez had done. It’s difficult for a right-hander to pitch so well at Yankees Stadium. He just got caught on one pitch, which really changed the tone of his night. Even so, this was another terrific outing for Sanchez. Now to see what he will do against the Red Sox. The offence looked awfully familiar tonight. The bats got off to another quick start, as Encarnacion hit a no-doubter in the 1st. Then things cooled off, as has been the recent trend. The Jays were able to get at least one baserunner in each inning, but failed to make the most of it. The one exception came in the 5th, when Bautista hit an RBI single to score Pillar. After that, the Jays had two aboard and one out, but Donaldson and Encarnacion couldn’t cash them in. That problem came to the fore once more in the 6th. Pillar was in the mix again, as he took a walk to load the bases with one out. That brought Smoak to the plate, and he promptly grounded into a double play to end the inning. The Jays had another opportunity in the 8th. After giving up the lead in the bottom of the 7th, they needed some late-inning magic. With two outs, Tulowitzki hit a single, and was replaced by Pompey. Upton then came in as a pinch hitter, and worked an eight-pitch at bat work a walk. 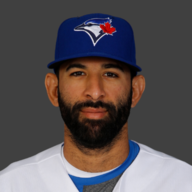 That brought out Ben Heller for the Yankees, to face Pillar. The pitching change backfired, as Pillar belted a two-run double to regain the lead. On the same day that he was nominated for the Roberto Clemente Award, Superman really did put the Jays on his back. He just couldn’t carry the load the whole way through. After falling behind in the 8th, the Jays had several more opportunities in the 9th. With Dellin Betances on the mound, Bautista and Donaldson took walks to open the frame. Encarnacion then battled through a 10-pitch at bat, during which Gary Sanchez should have been called for catches’ interference. EE ultimately came through with an RBI single. Carrera then took over as a pinch runner for Edwin. As a quick aside, I have no idea why catches’ interference isn’t reviewable. Martin then struck out. Navarro came up as a pinch hitter, and took a walk to load the bases. Upton followed that with an infield hit to score a runner, as Betances failed to touch the bag at 1st for the out. Betances threw 40 pitches in the inning before Girardi finally pulled him. Pillar then came to the plate, and watched strike three go right down the middle of the plate. Smoak followed with his best effort of the night, but Gardner made the catch as he slammed into the left field wall. What an inning. The Jays wasted plenty of opportunities to score today. They really should have done better than six runs. That said, the bullpen essentially put this game out of reach. The bullpen came in with the lead in the 8th inning. 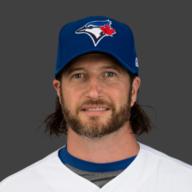 Grilli was brought in to face the heart of the Yankees’ order. The veteran had an uncharacteristically slow start, as he walked Jacoby Ellsbury after a long at bat. Grilli bounced back with a strikeout to Sanchez. Didi Gregorius then answered with an RBI triple, thanks to a poor read by Pillar. Starlin Castro followed that with a sac fly to restore the Yankees’ lead. Grilli then walked Brian McCann, before Chase Headley hit a two-run homer to extend the lead. That was the end of Grilli’s night. What a disaster. 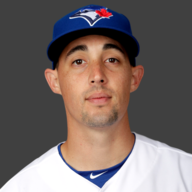 This was his first truly awful inning with the Blue Jays, and it came at a terrible time. Completely deflating. Schultz came out to finish the inning, and recorded a strikeout. That final inning felt like an eternity. Now to reset and hope the Padres can win tonight. Stroman and the Blue Jays take game one of the series against the Royals. Toronto edges Minnesota to take game two of the series. The Blue Jays lose in extra innings (again). Good pitching, bad hitting, worse fielding. Copyright © 2017 Raptors Republic Inc.